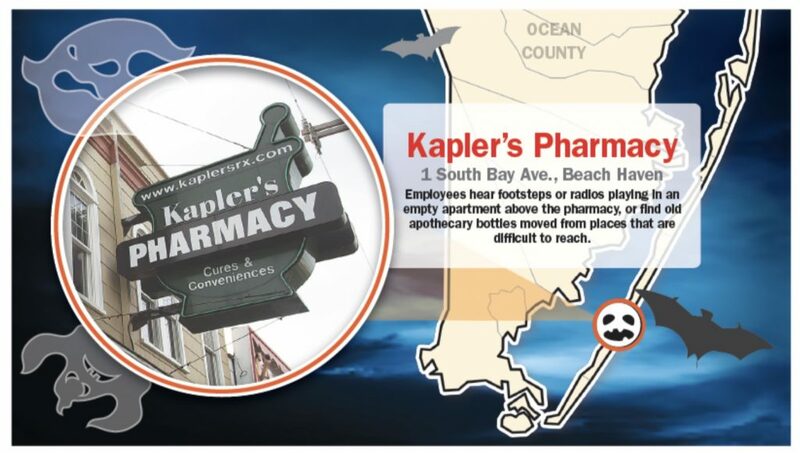 In the spirit of the upcoming haunted holiday, we are taking a look at some of the eeriest areas of Long Beach Island. 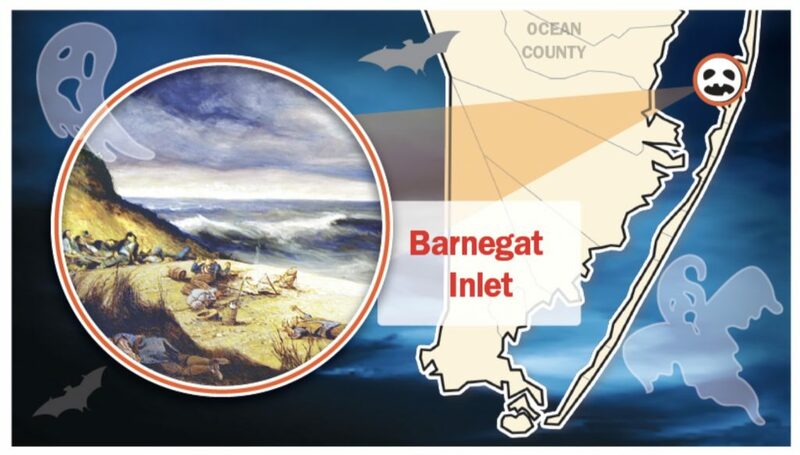 Out in the water, the Barnegat Inlet in Barnegat Light has a chilling past. According to an article featured by the Asbury Park Press, “To the south, visions from a centuries-old battle are still seen at Barnegat Inlet, where a duel between two bands of privateers erupted as one ransacked a ship along the shore, said Charles J. Adams III, who co-authored “Legends of Long Beach Island” and “Shipwrecks Near Barnegat Inlet.” The second band of privateers, who were sailing out of what is now Island Beach State Park, overtook and slaughtered the first group of privateers, he said. 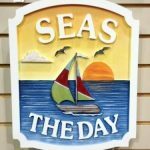 People have heard ghostly moaning from the dunes and seen sailors in old-fashioned “costumes” who then disappeared, he said. And, if you dare go to the mainland, be sure to check out he haunted elementary school. The Asbury Park Press article explains this bone-chilling story… “In the years since the Elizabeth V. Edwards School stopped being used for students and classes, numerous security and maintenance staff have reported hearing music and footsteps, seeing lights on in empty parts of the building, or smelling cigarette smoke inside old offices. 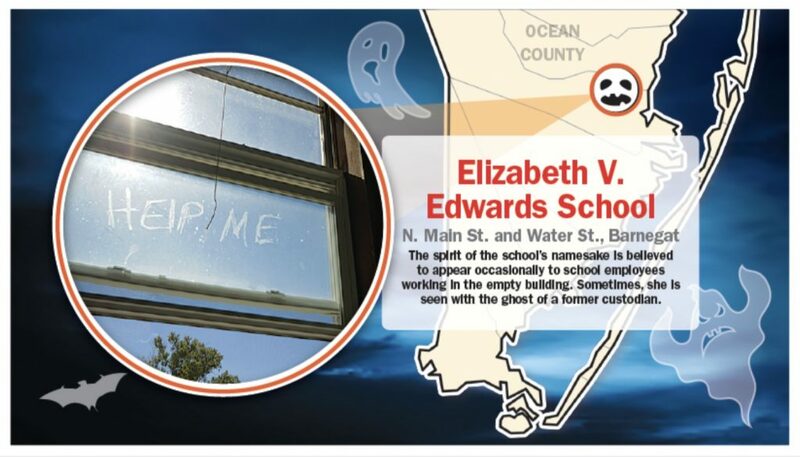 Workers have even seen what they believed to be the school’s namesake, the spirit of Elizabeth Edwards herself, inside the two-story building. 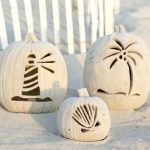 Whether it’s a haunted house you are in search of or just a boo-tiful LBI beach house, contact us at team@noplacelikelbi.com.